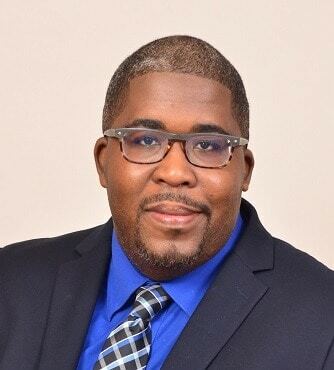 Mr. Andrae Tulloch was appointed Chief Regulatory Officer (CRO) of the JSE’s Regulatory and Market Oversight Division (RMOD) effective October 1, 2018. Mr. Tulloch joined the JSE in 2008 in the position of Regulatory Officer. Based on his performance, Mr. Tulloch was promoted, in 2010, to the senior role of Deputy Chief Regulatory Officer, RMOD, where his performance objectives included providing executive support to the CRO’s office in managing the regulatory affairs of the Exchange. During this time, Mr. Tulloch spearheaded the transition of the JSE’s Inspection Programme to a risk based approach and the strengthening of oversight given to Member-Dealers financial reporting to the Exchange. As CRO, Mr. Tulloch is responsible for ensuring that the JSE’s regulatory and compliance interests are conducted in accordance with the rules of the JSE as well as policies as directed by the JSE’s Regulatory and Market Oversight Committee (RMOC). Mr. Tulloch has over 15 years’ experience in the financial sector, which includes the Ministry of Justice, where he served in the role of Accountant assisting in the investigation and administration of companies in liquidation and bankrupt estates. Mr. Tulloch has a Bachelor of Business Administration in Finance (Hons) from the University of Technology. He is also a certified Project Management Professional (PMP).